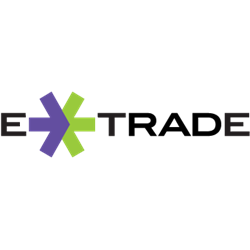 E*Trade is a low-cost alternative to the more traditional full-scale brokerage firms. It is a pioneer when it comes to trading online and its platform is both easy to use and highly reliable. You should be aware however that the platform is tiered, so you need to check the commission and fee schedule for your specific tier to find out exactly how low-cost E*Trade would be for you. E*Trade is famous for their portfolio management tools that can be used to manage asset allocation and mitigate risk at portfolio level. When it comes to market research, E*Trade mostly posts publicly available market information with fairly shallow commentary, rather than directly executable advice or in-dept analysis. A downside with E*Trade review is that their site and platform feels a bit old. They have been reluctant to give the interface an overhaul, probably because they don’t want to force their clients to get use to a “new” site and platform. This means that some of the modern customization features that we are used to from other online brokerage firms are absent at E*Trade. There is a notable exception though, E*Trade’s premier product Power E*Trade has a fresh and modern feel to it, and you only have to carry out a minimum of 30 trades per quarter to be invited to try this one instead of the basic E*Trade product. Power E*Trade is highly customizable and comes with top-notch charting, streaming data, analysis tools, and more. Within the E*Trade 4-tier system, you will be assigned to a tier based on both account balance and transaction volume. If you make less than 1500 trades per quarter, the cost per trade will increase depending on your total account value. The best pricing is reserved for the most active traders traders / big account holders. Unless you are a E*Trade top-tier client, you won’t have access to their best fundamental and technical analysis tools. Therefore, you should factor in the costs of obtaining this from a third-party, should you not reach the top-tier at E*Trade. Managed accounts are only available to clients over a certain minimum balance. Excellent customer support for a low-cost brokerage firm.